All of you, during your formative years, were judged by parents, your elders and betters, and by your schools as not good enough, not working hard enough, not doing your best – and this goes back generations, it is the culture of “civilization,” which itself is fear-based. This was not meant to be! Humanity is on a roll! Yes, I have said that before! Nevertheless, as you attend to the news media, you mostly find news of disasters and catastrophes of various kinds, and mostly ones that do not directly affect you. Don’t focus your attention there, because it just drains your energy, allowing guilt, anxiety, fear, and anger to fill your minds. If you can help with your presence, or by making donations, then do so; but just sending love to those who are in need and who are suffering is very powerful. Then get on with living your lives lovingly and consciously, because that is what you are in form to do. And humanity ison a roll, because it has collectively made the decision to awaken, and that is what is happening. Resentment, bitterness, hatred, judgment, and the desire for restitution are all blocks to Love. Love is always unconditionally accepting and never judges, but humans in form have been trainedto judge and to seek restitution for their hurts – and indeed many have been very badly hurt – but focusing on those hurts is to live in the past and replay endlessly from their memories the occasions that were so painful. And doing that just brings those memories back into the present for those doing so, and repeats within them now the pain and suffering that they underwent, even though it is over. There is absolutely no needto do that! Dwelling on past pain and suffering totally blocks your ability to enjoy life in the now moment, the only time there is. Let go! Live today with love in your hearts and enjoy the experience of being alive – a smile from a stranger, children playing happily, a caress from a loved one – and be aware of the world around you, whether it be a view of city streets, mountains, lakes, oceans, or your own backyard. There is alwayssomething in your environment in which to delight and for which you can offer thanks – even a brief respite from the pain of physical illness that you may be experiencing, or the comfort and loving attention in that situation that another offers you. There is only Love, and if you will open yourselves to receive it you will be amazed at how many times it is offered to you. Truly all of you, every single human being, seeks only Love. Not conditional love – if you do this I will love you – but real Love, capital L! Real Love isyour true nature, but as humans you have shut off your awareness of this holy truth by focusing on fear. You did this a long time ago because it seemed to be the basis of your survival in a threatening environment in which your physical bodies were, and still are, very vulnerable and can be easily damaged. Now this survival fear no longer serves you, it only servesto separateyou from one another. And the more you believe that it is necessary the more fearful you become, expecting negative judgments from even your nearest and dearest, as well as from civil “authorities,” friends, acquaintances, and employers. All of you, during your formative years, were judged by parents, your elders and betters, and by your schools as not good enough, not working hard enough, not doing your best – and this goes back generations, it is the culture of “civilization,” which itself is fear-based. This was not meant to be! As little ones you should have been loved, guided, and assisted to uncover and develop your wonderful talents, not forced to conform to rules that made no sense. If this had happened society would be a peaceful and harmonious fellowship in which differences between people were encouraged, and your different creative abilities would be honored instead of being judged as unacceptable, and wrong,just because they were different. Of course you will still experience disappointments, because some those with whom you interact will still be clinging to fear, to their “stuff,” and will be incapable of living lovingly, yet; eventually all will. 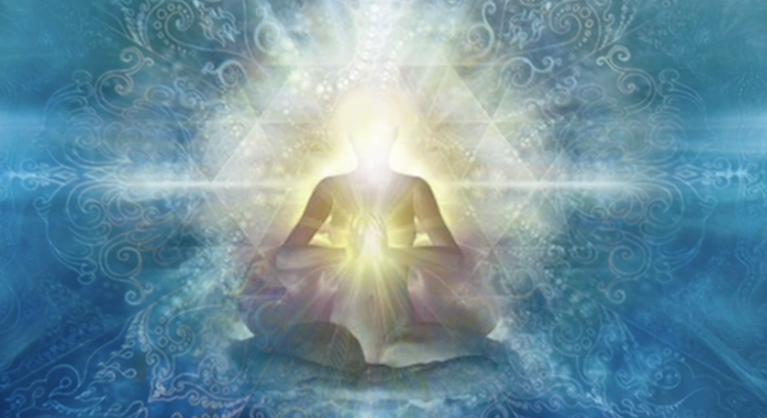 In the meantime, by choosing and intending to be loving whatever arises, you are doing what you incarnated to do – massively assisting in humanity’s awakening process – and because the collective decision to awaken has been made and is irreversible, you willbring it about. Whenever you feel depressed, down-hearted, or anxious, especially after becoming aware of some “new” disaster or catastrophe, go within, to your holy inner sanctuary where Love resides constantly, and just be with yourself as you allow the knowing that all is divinely taken care of to fill your heart. You willfeel the love and the peace that is your nature, and your faith in the divine plan will be reaffirmed for you. You are One with Source, Mother/Father/God, the supreme Intelligence, the infinite Wisdom that is All That Exists, and during those quiet moments that you spend within your knowingof this will strengthen, and your doubts will fade away. But, due to the limitations that being in form as a human places upon you, you do needto go within and open your hearts to Love at least once daily. And you can also pay brief visits during the day while waiting in line, at traffic lights, or even when visiting the restroom. Just KNOWthat you are eternally and infinitely loved, just as you are, despite all the failings and inadequacies for which you so often negatively judge yourselves. Stop the negative self-judgments, accept and love yourselves, and enjoy the sense of peace that will arise.